Go back to the excitement of your childhood with "Doraemon" and "Perman"! It all started 12 years ago. "I want to give something back to the children who have always supported my husband." This desire of the wife of manga author Fujiko·F·Fujio was finally realized, after 12 years, in September 2011, when this museum finally opened its doors. According to the museum's PR Manager, Ms. Iijima, the museum houses more than 50,000 drawings. As you wander through the two exhibition rooms, in which approximately 130 of these drawings are on display, you will surely feel nostalgia for your childhood days spent reading "Doraemon" and "Perman." That this museum is visited by people of all ages, couples, and families spanning three generations is a testament to it bearing the name Fujiko·F·Fujio. 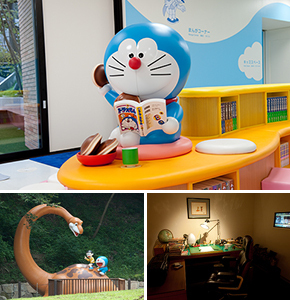 Based in one of his principle ideals, "always draw giving consideration to my readers being children," a large number of materials have been gathered to recreate his own "work room," and the "Fujio On Sunday" corner allows the family and private life of this "manga author of the people" to be experienced. The gentle soul revealed here is said to have moved some visitors to tears. 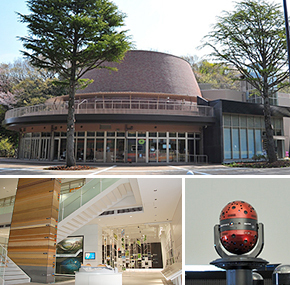 The brown-domed building that you can see past the trees of the lush Ikuta Park is the newly renovated Kawasaki Municipal Science Museum that was reopened on April 28, 2012. A variety of ingenious measures have been implemented to allow visitors to enjoy and become familiar with science under the themes of nature, astronomy, and science. 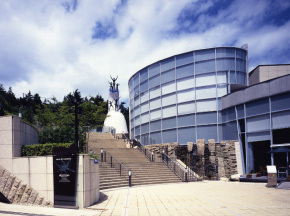 The planetarium utilizes the MEGASTAR-III FUSION planet projector that was developed for Kawasaki City, providing the world's top-class experience of viewing beautiful starry skies. From the Astro Terrace on the roof, you can observe the surface of the sun, as well as stars and planets that are visible even during the daytime, through a computer-controlled telescope. At the entrance to the exhibit room stands an 8-meter geological stratum tower that shrinks the layers of earth in Ikuta Park to one-fifth its actual size. Also in the exhibit room you'll find insects, plants, and many other specimens that will introduce you to Kawasaki's natural environment under the themes of "hills," "towns," "Tama River," and "Ikuta Park." In addition, Ikuta Park tours, nature workshops, science experiment classes, and a variety of other lectures and classes are available to allow you to experience nature and science yourself. We cordially invite you to come enjoy the new Science Museum to the fullest. 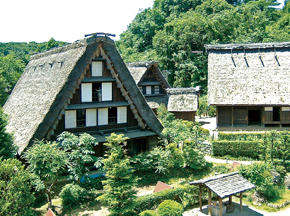 Twenty-five traditional private houses built between 200 to 300 years ago in Eastern Japan have been moved to this open-air museum. These houses have been designed as an important national cultural asset, offer hands-on experience and learning workshops. 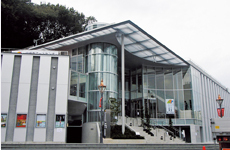 The Taro Okamoto Museum of Art collects and exhibits the works and arts donated by Taro Okamoto, an artist who had strong ties to the City of Kawasaki. Other collections and exhibitions are also available include works by his parents Kanoko, Ippei, as well as other modern and contemporary artworks. 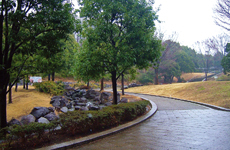 Ikuta Ryokuchi Park, situated in the rolling Tama hills, is the largest green space in the city and is surrounded by natural trees such as kunugi and conola oaks. 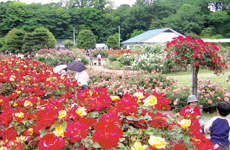 The rose garden is operated jointly by the City of Kawasaki and volunteer citizens. 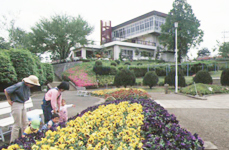 It boasts some magnificent roses inside the approximately 1.2-hectare compound. The garden opens to the public during a period of the blooming season in spring and during a period of the blooming season in autumn. Kawasaki City Art Center, located in the Shinyurigaoka Station area is the anchor of the proposed "Art City Project." 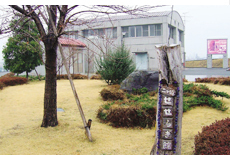 Along with the nearby Showa University of Music and Japan Institute of the moving Image, the goal for this area is to become the center of creative activities in arts and culture. Many exciting rides, including Crazy Houston and Bandit, and entertaining shows such as the Seal Show await you here in Yomiuri Land. Fruit trees such as pear and persimmon grown locally or throughout Japan are showcased here. One can use the computers here to learn about the history of the Tamagawa Ecomuseum Project, Tama River, or Nikaryo Yosui Canal. This leisure park on the Tama Hills is designed with the theme of water and greenery. 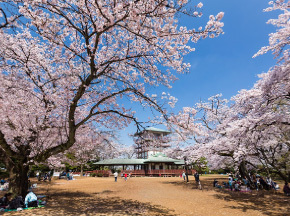 Visitors can enjoy year-round leisure activities, such as cherry blossom-viewing parties or walks. This Jodo-Shu temple was built in 1615. The view is spectacular when its more than 1,000 hydrangeas bloom from June to July. There are stone statues of Rakan that adorn the temple gardens. The wooden statue of an 11-face Kannon, said to be the work of the priest Gyouki, has been worshipped for standing in for the faithful ones. A 5-tier, 30m tall pagoda sits inside the temple compound.